was a Polish professor engineer, inventor, and an officer in the Polish Army during World War II. 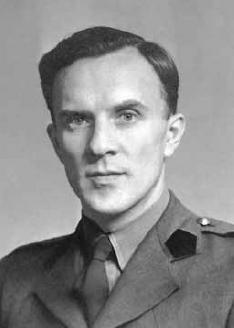 He is best known as the inventor of the Polish mine detector, the first man-portable mine detector, whose basic design has been in use with various armies for over 50 years. In the pre-war period the Department of Artillery of Poland’s Ministry of National Defence ordered the construction of a device that could be helpful in locating duds on artillery training grounds. The instrument was designed by the AVA Radio Company, but its implementation was prevented by the outbreak of the Polish Defensive War. Until the outbreak of war, Joseph Kosacki worked as Head of the Telecommunication Repeaters Department of the National Institute of Telecommunications. In September 1939 joined the army as a volounteer and became a member of the Technical Group in the Department of Special Telecommunications – took part in the launch of the radio station Warszawa II. After the 1939 campaign escaped to Britain where he served in the Training Centre of Communications. Colonel Engineer Joseph Kosacki in cooperation with Platoon-leader Andrew Garbos working in Communications Training Centre decided to restore the structure and make the necessary improvements, this time intended as a mine detector. This coincided with the contest announced by British Ministry of Supply for the electric manual mine detector. Kosacki’s construction was one of the seven detectors submitted to the competition. One of the tasks designed to show performance equipment presented was to collect penny coins scattered on the lawn. His design was the best – as the only one managed to collect all the scattered coins. It was decided to refer to the Polish detector by the name of “Mine Detector Polish Mark 1”. The Polish detector had two coils on a bamboo stick, one of which was connected to an oscillator which generated an oscillating current of an acoustic frequency. The other coil was connected to an amplifier and a headphone. When the coils came into proximity to a metallic object the balance between the coils was upset and the headphone reported a signal. The equipment weighed just under 14 kilograms and could be operated by one man. The detector has not been patented invention and has been handed over free to the British Army. In exchange he received a letter of gratitude from the King for this act. Joseph Kosacki’s mine detector in France in 1944. For the first time on a large scale Polish construction has been used in 1942 during the Battle of El Alamein . With 500 “Polish mine detectors” British troops managed to go through the minefields of El Alamein, which significantly contributed to the victory of the 8th Army. There is controversy associated with the name of the inventor of the mine detector. 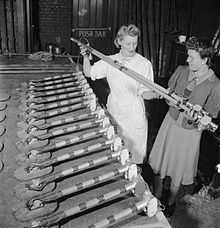 As it was a wartime research operation to create and refine it, the knowledge that Kosacki created the first practical metal detector was kept secret for over 50 years. In order to protect the family of J. Kosacki staying in occupied Poland from possible repressions or blackmail on the part of the Germans, Kosacki’s name has been withheld. In all publications, news reports, books, research, radio broadcasts and official documents, performing under different names: most commonly as Joseph Kos but also Kozacki, Kozak. After the war the tactics of misinformation was not cleared for political reasons and Kosacki’s safety in communist Poland. That is why many post-war sources in different countries sometimes uses these conspiratorial pseudonyms instead of real name. The regime change in 1989 led to interest in the creator of the mine detector, which after modifications, was successfully used until 1991 in the Gulf War and Iraq. Mark IVc version was still used by the British Army until 1995.